In a perfect world, education would be standard for every child across the planet. There would be no physical, emotional, behavioral, and mental or learning disabilities and we would all be able to learn at the same pace, at the same time. In this perfect world, we would all have the same capabilities and passion for learning as the next, so school would be a breeze from beginning to end. Everyone would leave school with the same level of knowledge and pursue educational endeavors that would continue to expand the mind. But that’s a perfect world, at least for some; that’s not reality. The truth is, we’re all created in an unequal manner. Some of us having learning disabilities of some type; some are really good at sports. Others might thrive in the culinary arts, while some of us show great skill with chemistry or grammar. Seeing as how most children in today’s society are given the same standard education as the rest of the general school population, it’s no wonder there is such a niche for special needs tutoring. If your child has been diagnosed with a learning disability, or you suspect they might soon be, now is the time to start exploring your options for specialized tutoring both inside and out of the traditional school system. Special needs is not an educational death sentence, but it is going to be a journey fraught with peril, delights and disappointments along the way. Learning disabilities come in many shapes and sizes, and can manifest in many forms. Sometimes a learning disability can come from physical inadequacies, or mental health; other times, a learning disability is qualified as special needs because of sensory or visual performance. Dyslexia, attention deficit/hyperactivity disorder and others can affect the way a child absorbs information while in school, which can make learning difficult for both the child and the educators involved. Special education has been a niche specialty since 1975, when the Education for All Handicapped Children Act (EAHCA) was introduced for the first time in the United States. This meant that every child, regardless of handicap or other limitations would now have access to a free appropriate public education (FAPE) in the nation’s public schools. EAHCA was an educational win for millions of children that had previously been denied learning services because of their natural handicap or disability. The educational system in the United States was not set up to handle the many, many children who had a variety of disabilities that required special accommodations and many schools were unprepared. It took a lot of time, training and special equipment to make sure each and every school was appropriately ready to start educating the nation’s children with special needs. It’s been a successful venture that has seen a lot of educational gain and advancement. Along with special education services available in public schools, there are also other qualified teachings that have branched off from the original sector. Learning doesn’t stop when the bell rings at the end of the school day, and many children need help with homework or studying up on other concepts outside of the construct of a normal curriculum. Children who suffer from learning disabilities, no matter the type, can always benefit from specialized instruction and one-on-one attention after school ends, whether it’s for the day or year. 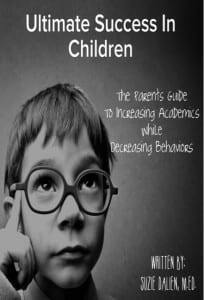 If there isn’t a constant stream of focus applied to children with special needs, their grades and overall skill comprehension can really lose steam over time. It’s important for these children to always have the correct curriculum for their special need, but schools are sometimes ill-equipped to provide the sort of education your child might require. We all learn in different ways and on our own terms, regardless of what educational standards dictate should happen within a certain time frame. Because all children learn at different rates, special education might sometimes not be enough for them to grasp the basic building blocks that will eventually lead to educational success. Many parents across the US are turning to special needs tutoring for their child with special needs. Tired of the massive classroom growth and lack of resources, parents are taking their child’s education into their own hands. Special Education Resource was started with one goal in mind – to provide your child with the best, most qualified professional special needs tutoring available, all from within a safe, nurturing environment. Sometimes it’s simply the classroom itself that can exacerbate your child’s learning disabilities. Children with special needs want to feel comfortable when they learn, and being with other children in a structured environment might actually negate any actual learning that takes place. Supplemental learning through special needs tutoring has taken hold in the world of special education. Special needs tutoring is designed to take the curriculum your child is currently being taught in the traditional classroom and mold it to fit their individual learning needs. Thanks to technological advancements, it’s never been easier for children to take part in special needs tutoring. Conducted entirely online, our qualified special needs tutors have years of experience when it comes to the individual needs and unique learning styles of children with special needs. Special needs tutoring can offer your child the individualized attention to classroom work that might otherwise be missing from a normal structured school day. 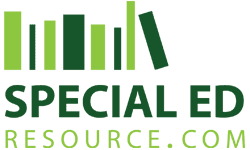 Special Education Resource realizes that all children are special in their own ways, and that no child’s education should have to suffer due to lack of resources. We offer our services via webcam, email and phone, which means you have several options for communicating with our professional special needs tutors. Whether you want a one-time session or would like to schedule a larger block of time as part of your child’s regular school curriculum, we are available to help. The first step in deciding whether or not special needs tutoring is a viable option for your child, is through a free consultation. 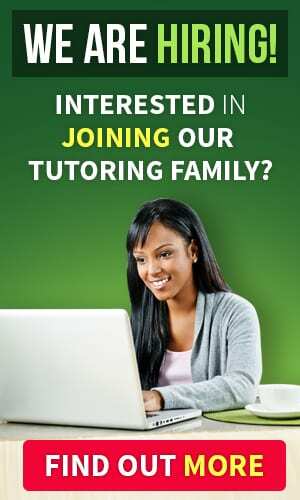 A special needs tutor will answer your questions, offer guidance and help formulate a plan for your child’s academic future. Whatever option you choose, it’s most important to gather as much information as possible to ensure you’re able to advocate the best academic future for your child. In a time when more and more children across the United States are being diagnosed with learning disabilities, it’s vital to understand all options available to ensure your child’s academic excellence. Special needs tutoring has exploded in the US as classroom sizes continue to grow and available resources decline. Special needs tutoring for children with learning disabilities is especially helpful since they often have trouble focusing in massive classrooms. Whatever academic option you choose, be sure and arm yourself with enough valuable information to advocate success for your child.